Get all six of Greg’s in-stock CDs for one low price. 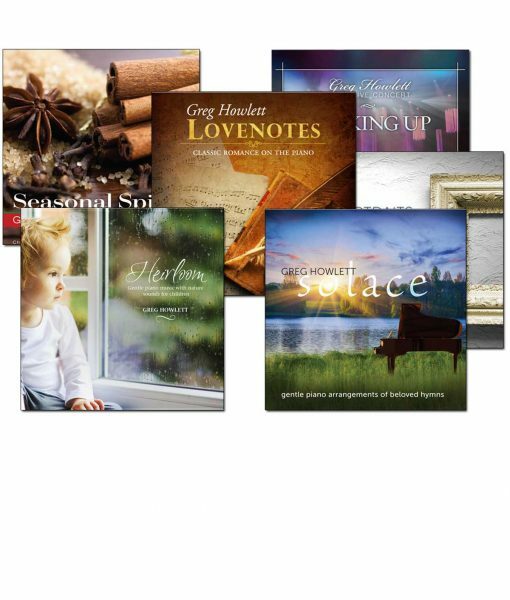 Download package contains 10 albums instead of 6 (includes 4 other albums that are sold out in CD format: Reflections on a Journey, Christmas Improvisations, Timeless Reflections, and Quiet Place). Sale! Get this CD combo for just $24 (while supplies last) OR get all ten albums by download for $24!